These papercraft models of propeller driven airplanes are free samples from the Hairston Aviation website. 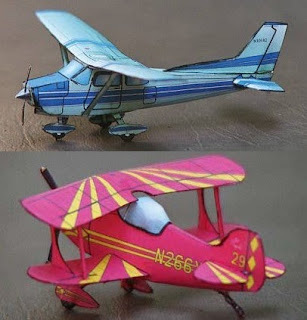 On top is a 1:60 scale model of a Cessna 172 and the lower model is a Pitts S-1S at 1:45 scale (downloads here). Besides these two free ones, there are dozens of other airplane model templates available for a few dollars a piece. All the models are the work of James J. Hairston, an aviation enthusiast who started building card model aircraft when he was a kid during World War II. In the "Partners in Crime" episode of the newest Doctor Who television series, there appear hundreds of cuddly little alien creatures called "Adipose". The oddest thing about the Adipose is that they are composed entirely of human body fat. This makes sense considering "adipose" is the medical term for fat tissue. The fatty papercraft pictured above is the creation of Sponzar of the Hunkydorky blog. 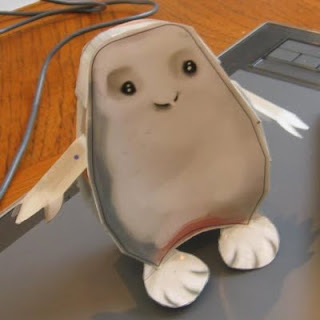 You can grab a template for a papercraft Adipose of your own here. 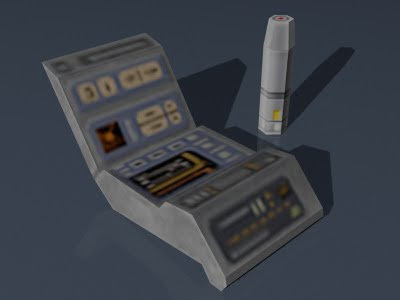 A while back, I had a request to do a standard Starfleet tricorder papercraft, but I found that the 3D model in Elite Force is really rough and doesn't look much like the tricorders from the Voyager television show. 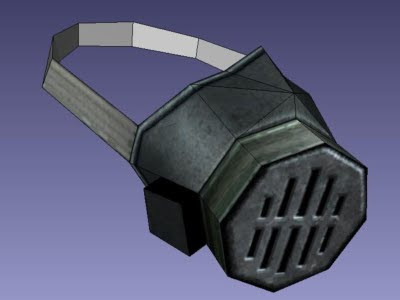 So, unfortunately, this medical version is the best I will be able to do in the way of tricorder papercraft. 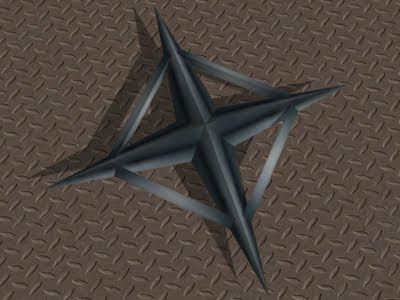 UPDATE 9/12/12: A improved version of this papercraft is available here! 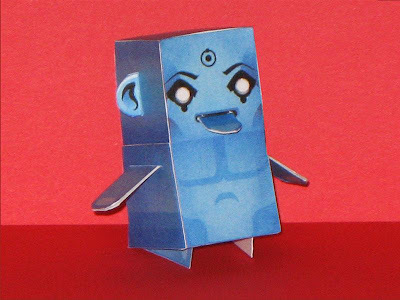 I have seen more than a few Watchmen paper toys since the movie was released this year, but this Doctor Manhattan paper toy is the only one I have seen so far from Boxpunx creator Jason Harlan. To commemorate an interview he did earlier this month at giantkillersquid.com, Jason created this exclusive "Dr. M" Boxpunx which is only available on the Giant Killer Squid website. 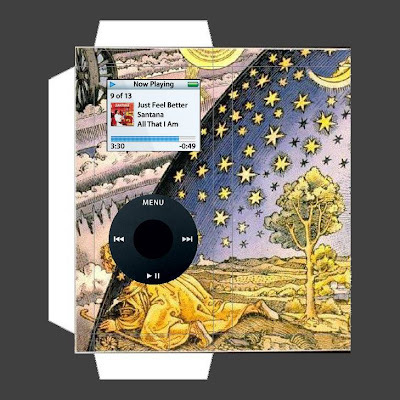 The template may be downloaded here. 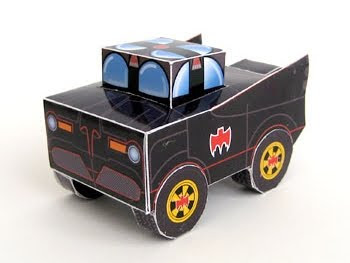 This paper toy was modeled after the Batmobile that appeared in the 1960's Batman television series. 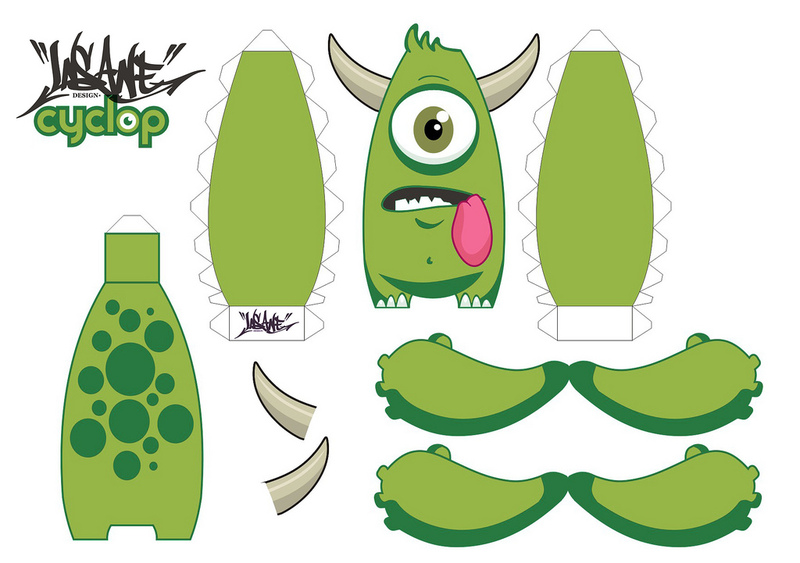 The boxy shape is due to the fact that it is a customization of the "Foldskool" paper toy template by Marshall Alexander. The template for this Batmobile is the creation of paper toy designer Matthijs Kamstra [aka MCK] and may be found on his website here. 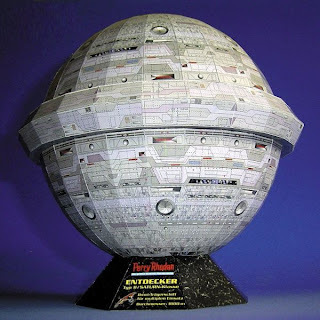 Despite its looks, this papercraft is not some alternate version of the Death Star or a training remote from Star Wars. This is a starship from the long running German science fiction book series, Perry Rhodan. In the books, the Discoverer ("Entdecker" in German) starships are said to have a diameter of 1800 meters (5906 feet) and operated by a crew of 500. This papercraft was created by Marco Scheloske and Raimund Peter. A download of the template is available here. It's hard to pass up a good cartoonish monster paper toy. ^^ Here are two of my favorites, both with a single eye. 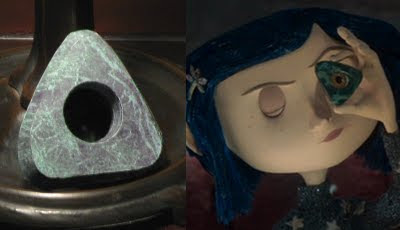 Each of these was created by Maximiliano Garcia Luna who brought us the Eye of Providence paper toy which also had a single eye (hmmm, I am sensing a trend here). 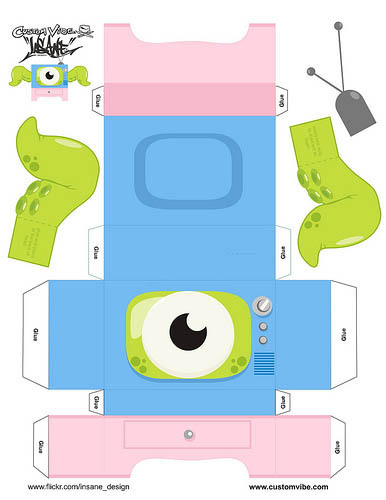 The templates for these papertoys are found here and here. 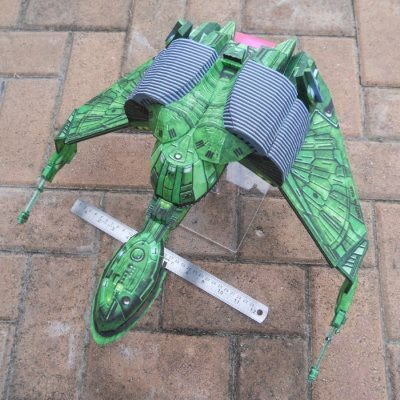 These Imperial starship papercraft models were created by "Da~Wind" in 2006. 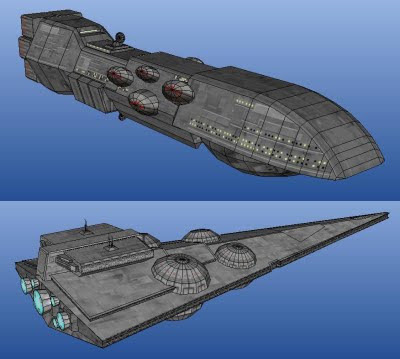 I am no expert when it comes to Star Wars spacecraft, but I believe that both these ships have only appeared in the Star Wars Expanded Universe (i.e. comic books, video games etc.). My experience with these type of ships has been through the Star Wars: Empire at War video game. The upper starship is a Dreadnaught Heavy Cruiser which is said to be one of the older types of vessels used by the Imperial Navy. The lower starship is an Interdictor-class Star Destroyer. The distinguishing feature of these ships are the domed structures that contain gravity well projectors which prevent enemy ships from escaping to hyperspace. The templates for these ships are available in Pepakura PDO format only, but the nice thing is that the PDO files are unlocked so you can make changes to the layout and scale of the template if you desire. The templates may be downloaded here. While you are there check out the extensive collection of Homeworld paper models by Erick Muñoz. 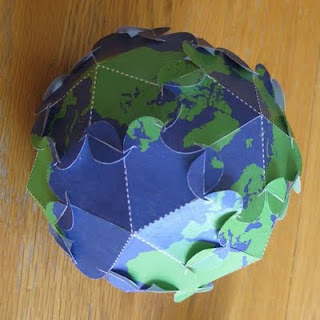 Here's another fascinating glue-less Earth globe papercraft from Canadian designer David Swart. Starting with the geometric form of a Pentagonal Hexecontahedron, David added slotted tabs in a way that makes each of the globe's faces heart shaped. A template of the globe is available here. David's previous slide together creation was a globe puzzle. This brightly colored papercraft reminds me a lot of Flash Gordon's rocket ship from the old 1930's movie serials. Officially entitled "Zootian Intergalactic Biz Booster Rocket", this paper rocket was released as a promotional item by the Zoot! Advertising Design company during the 2005 Christmas season. A download of the template is available here. 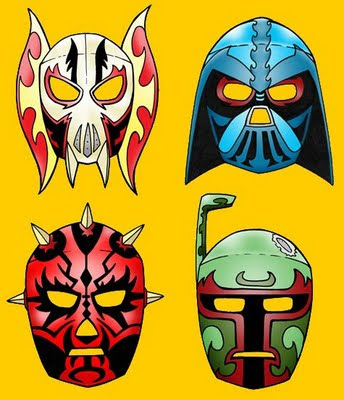 Artist Randy Martinez has re-envisioned the masks of four Star Wars villains as if they were Mexican wrestlers. These fanciful Lucha Libre masks include General Grievous, Darth Vader, Darth Maul and Boba Fett. Each one of these printable masks is available here at the kids section of starwars.com. Among Leonardo da Vinci's numerous designs are plans for an ornithopter. An ornithopter is a machine that flys by imitating the flapping motion that birds use. 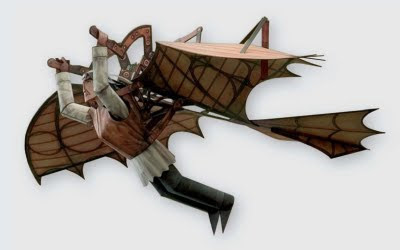 Some examples of fictional ornithopters seen in movies are the aircraft that the Wookies use in Star Wars: Revenge of the Sith and also the "flapters" in Studio Ghibli's Castle in the Sky. This paper model of Da Vinci's invention is offered by Czech Radio Leonardo here.